Former President Barack Obama is hitting the campaign trail in the final days before the midterm elections, stumping for Democratic candidates in critical races in states such as Illinois, Georgia and Florida. Obama has ramped up his campaign appearances in recent weeks, particularly urging members of the coalition that elected him twice -- women, minorities and young people especially -- to turn out to vote in 2018. 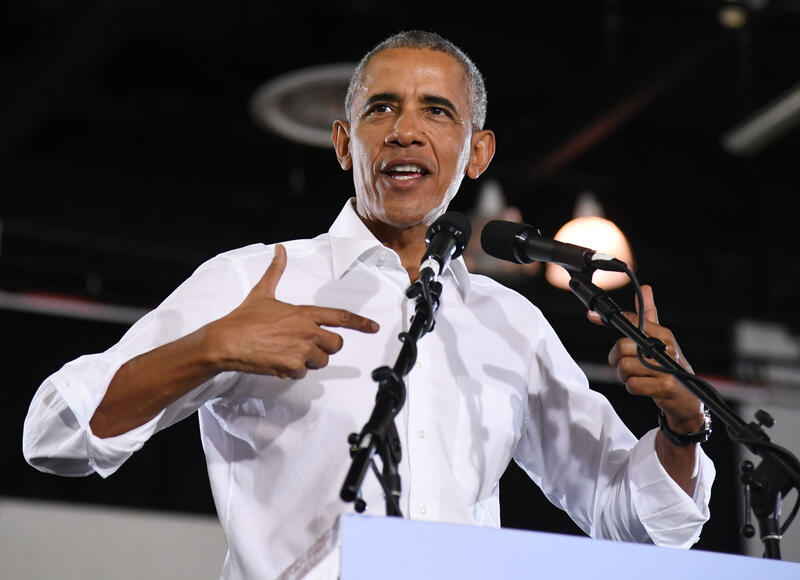 The case Obama is making is somewhat similar to one that President Trump has made in his rallies, on the importance of voting in the midterm elections even though neither man is on the ballot. It's not unusual for former presidents to make campaign appearances after their tenure. But Obama is campaigning against Mr. Trump's agenda and Republican candidates less than two years after he left office, a departure from a historical norm in which former presidents tend to avoid openly criticizing their successors. Although former President George W. Bush has quietly campaigned for Republican candidates this year, and former President Bill Clinton campaigned for Democrats in 2012, most stay out of the spotlight in their first years of retirement. In 1994, two years after his father George H.W. Bush had lost the presidential election to Clinton, the younger Bush distanced himself from his father in his winning campaign for Texas governor. Although he stumped for the elder Bush during his re-election campaign in 1992, President Ronald Reagan was not a regular campaign presence in the 1990 midterms. President Harry Truman was a steady campaign presence after he departed office in 1953. After leaving office in 1909, President Theodore Roosevelt did hit the campaign trail in 1910, opposing his successor President Howard Taft's version of Republican leadership. That year, he gave his famous speech declaring the "New Nationalism," his Republican program which advocated for labor rights. Examples of presidents campaigning shortly after they leave office are few and far between, but Obama believes that this election is critical enough for him to disregard precedent and stump for Democratic candidates. In his first campaign appearance in Chicago, Illinois, on Sept. 7, Obama said that he had not openly criticized Mr. Trump because he was "intent on following a wise American tradition of ex-presidents gracefully exiting the political stage and making room for new voices and new ideas." However, he added, "this is one of those pivotal moment when every one of us, as citizens of the United States, need to determine just who it is that we are, just what it is that we stand for." "As a fellow citizen, not as an ex-president but as a fellow citizen, I am here to deliver a simple message, and that is that you need to vote because our democracy depends on it," he said.